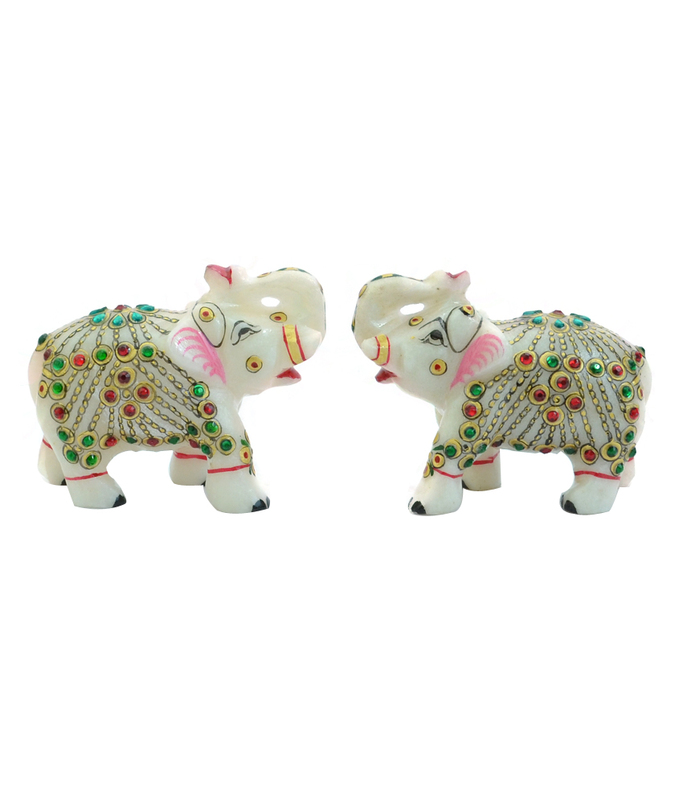 Get home elegance and grace with this marvelous elephant pair which is decked with a typical traditional color scheme. 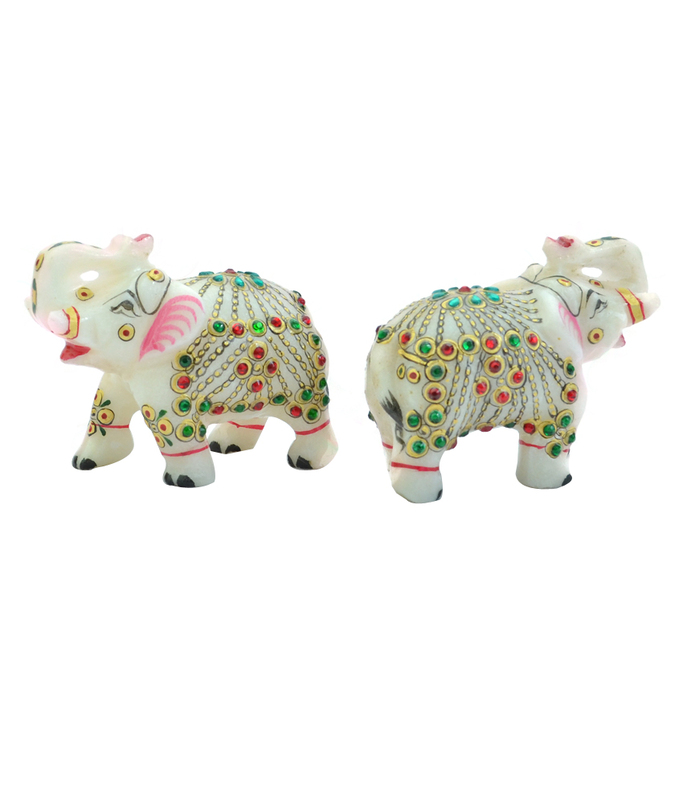 It will definitely highlight your show cases and side tables when placed in it. 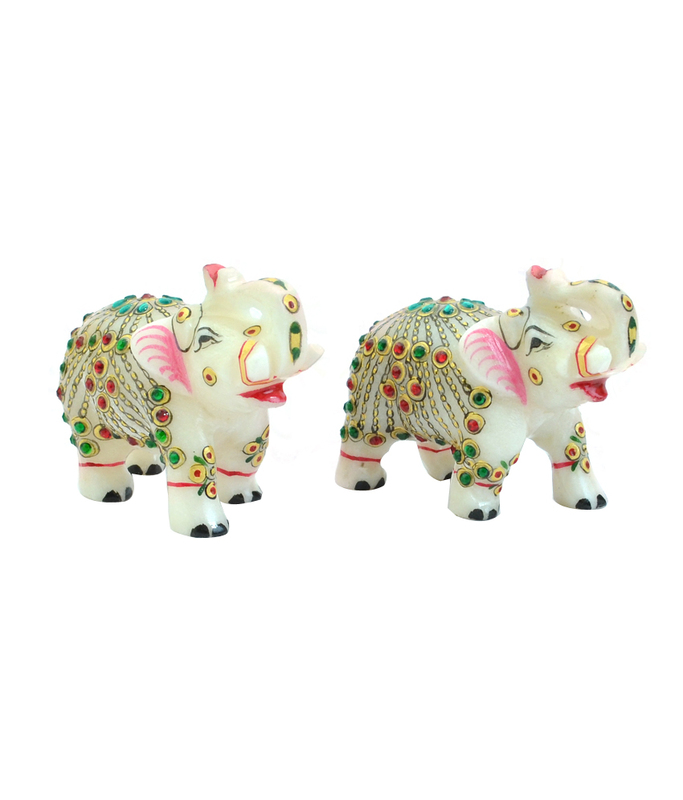 Specialty: Handmade from one of the best marbles of Rajasthan Hand painted with bright red and orange shades Decorated with traditional designs and art work . Product colour may slightly vary due to photographic lighting sources or your Screen settings.